Style: Dispenser The product is desk tape dispenser. Elegant design and finish. The product ismanufactured in china. Easy to use. From the Manufacturer In 1930, 3M engineer Richard Drew invented an attractive, moisture-proofmaterial to help grocers and bakers seal up their packages. Over 70 yearslater, Scotch tape boasts over 400 varieties sold under the Scotch and 3Mbrands. Now indispensible in homes and offices, Scotch tapes offer specialty andgeneral solutions for many projects--from crafts and gift-wrapping to mountingand everyday sealing. Scotch Magic Tape Frosty on the roll but invisible on paper, Scotch Magic Tape features theoriginal matte-finish design for a strong hold and seamless look. This tapepulls off the roll and cuts smoothly, resisting splits and tears for a sturdypiece. Thanks to its gentle adhesive, you can stick then re-stick each pieceas your project demands, then jot a helpful note with a pen or pencil on topwhen you're done. Ideal Use: All home and office needs and craft projects. Scotch GiftWrap Tape Keep your presents secure and looking fabulous with Scotch GiftWrap Tape.Featuring a unique satin finish, this tape pulls smoothly from the roll anddisappears on most gift-wrap papers for a seamless close. The paper holdstogether, and your gift takes on a professional appearance. Ideal Use: Gift-wrapping. Scotch MultiTask Tape For those everyday jobs, Scotch MultiTask Tape features a strong, moisture-resistant material ideal for a wide range of taping tasks. Thanks to its high-quality performance and unique design with crystal clarity, it's easy tosubtly add a strip to a project for a professional look and a secure hold. Ideal Use: General tasks around the home and office, including household mending and sealing. 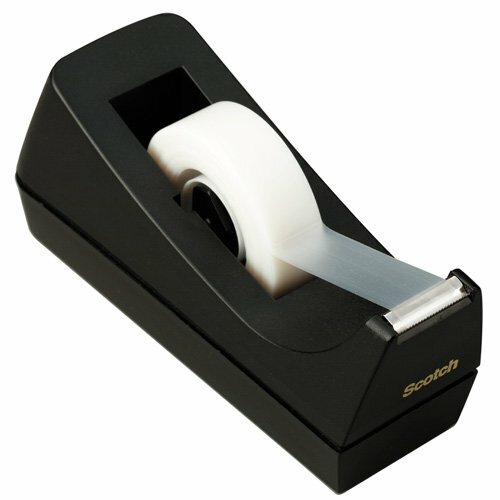 Scotch Double-Sided Tape Versatile and convenient, Scotch Double-Sided Tape offers a mess-freealternative to glue sticks for those light-duty attaching and mounting tasks.Featuring a two-sided adhesive, this tape comes in both a permanent andremovable style so you can match the proper tape to the task. As a bonus, thistape is photo-friendly so you can keep your memories securely attached andlooking good. Ideal Use: Craft projects, mounting, sealing, gift-wrapping, and decorating. Scotch Removable Tape Scotch Removable Tape features a unique adhesive that holds papers securely,while allowing you to remove or reposition each strip as needed. Because ofits matte-finish, this tape adds a professional touch to layouts or posters.For those moments when you require a little explanation, jot a quick note ontop with a pen or pencil. Ideal Use: General tasks around the home and office. Great for art, graphic design, or architectural layout projects. Scotch Pop-Up Tape Offering handy pre- cut strips, Scotch Pop-Up Tape puts convenience andorganization at your fingertips. With several dispenser types to choose from,you can wear tape on your wrist, stick a tape disk to your desk, or use amountable or portable dispenser where you need it most. The one-handeddispensing method allows you to work without pausing, so you can finishprojects with ease and efficiency. Ideal Use: Gift-wrapping, desk, and home-office use. Scotch Packaging Tape For strapping, sealing, and protecting packages, nothing compares to ScotchPackaging Tapes. Ideal for shipping and storing, each tape is tear- and split-resistant for high-quality containment. Scotch Scissors An ideal tool for home, office, and school, Scotch Scissors offer high-quality performance and comfortable grip. Featuring titanium-fused orstainless steel blades, each scissor is designed to cut smoothly andaccurately. Scotch Cutting Tools Scotch Cutters offer a faster, safer way to make clean, straight cuts. Idealfor gift-wrapping, opening mail, or cutting coupons, these tools offer speedand convenience for today's Scotch users. Post-it Notes Keep organized with the conveniently compact Post-it Notes. Featuring agentle adhesive that won't mar the surface, Post-it Notes offer a widevariety of colors and sizes to suit your noting needs.